Select (size) size / age 98 cm. / 3 y. 104 cm. / 4 y. 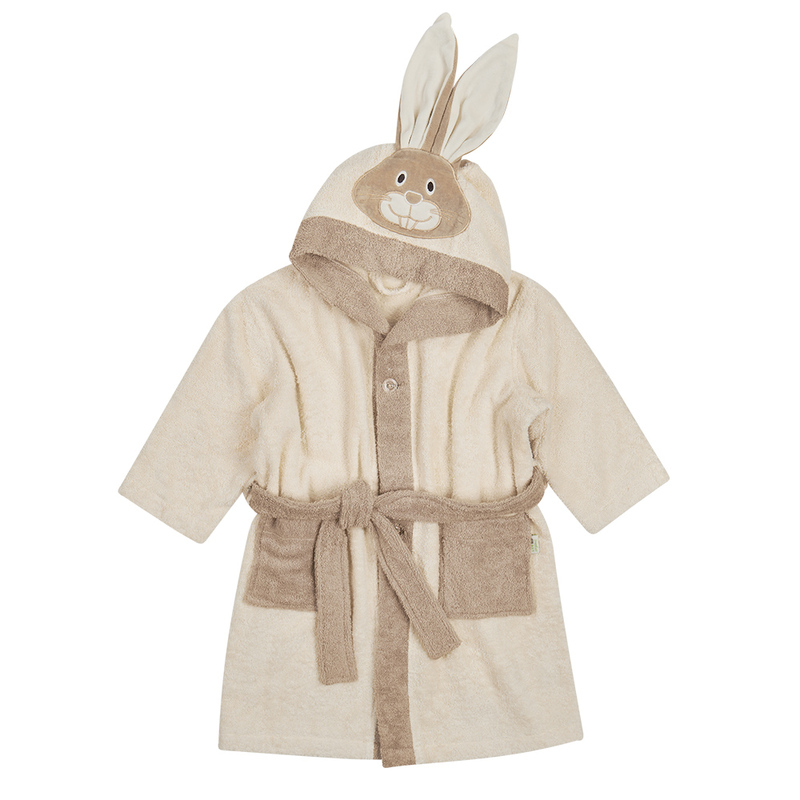 The BioBaby terrycloth-bathrobe is a popular bathing-accessory that you should not miss. Because there is nothing better just after a comfortable bath as to snuggle in it. The absorbent terrycloth dries your sunshine within a few moments. The hood protects the sensitive little head of your sweetheart against draught and coldness. Furthermore protect a belt in the waist-section and a small button your darling also against draught. But also the look is very important, of course. Harmonious matching colors and cute applications will convince right away. Pockets at the front side give space for handkerchiefs or other small things. • Made of 100% certified organic cotton, gentle for babies' soft skin. • One Size Fits up to 4 years.